Located in the Crown Casino Complex is an extension of the popular 400 Gradi by Johnny Di Francesco. Gradi Crown continues to serve up delicious Napoli style pizza. I ordered the limited edition Truffle and Prosciutto Pizza. 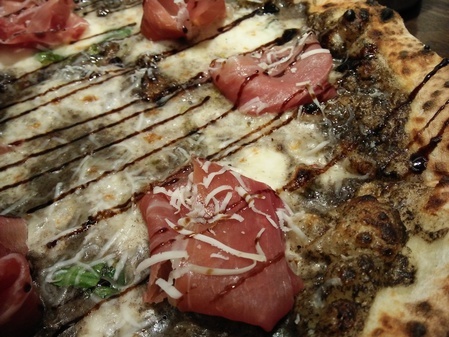 It arrived with folds of salty prosciutto and a generous splashing of aromatic truffle oil. The crust was crispy on the outside and still a little chewy on the inside. It was a tad expensive at $35 but worth every bite. I hope they move it to the regular menu.